It is a sad fact, but nursing home injuries are far from rare in the United States. Each year many nursing home residents sustain severe physical harm due to abuse or neglect. If your loved one has been mistreated in a nursing home, and they have suffered harm as a result, you must act to protect their health and safety. Nursing home injuries should always be reported to the appropriate authorities. This way, effective action can be taken to protect your loved one and hold the negligent assisted living facility liable for their misconduct. In this article, our dedicated Chicago nursing home injury lawyers explain the steps you need to take if your loved one was injured in an Illinois nursing home. In an emergency situation, you need to get your loved one immediate medical attention. An official complaint can take some time to make its way through the larger bureaucracy. If you believe that your vulnerable loved one is currently in danger, please call 911 as soon as possible. You need to get them to safety and get them the professional medical care that they need. There are many cases in which it can be difficult to pinpoint the source of your loved one’s injuries. This is an especially important concern in cases where your family member may not be able to effectively communicate with you. In these cases, you should always be ready to consult with a trusted medical professional. An independent doctor can help ensure that your loved one is getting the proper treatment that they deserve. If your loved one faced abuse or neglect while living in a licensed Illinois nursing home, you should file an official report with the Illinois Department of Health. This is the state agency that is responsible for licensing and regulating assisted living centers. The Illinois Department of Health operates a 24/7 hotline, which you can reach by calling 800-252-4343. Representatives will assist you in filing a formal complaint. According to the agency, they receive nearly 20,000 calls each year and more than 5,000 official complaints are filed annually. While state regulators can be very helpful, they will not be able to get your loved one justice. To hold the nursing home legally liable for an injury, you will need to file a civil claim. This is something that should be done with the guidance of a qualified Illinois nursing home abuse lawyer. Your lawyer will be able to help you and your family take the steps needed to protect your loved one and recover full and fair financial compensation from the responsible assisted living facility. 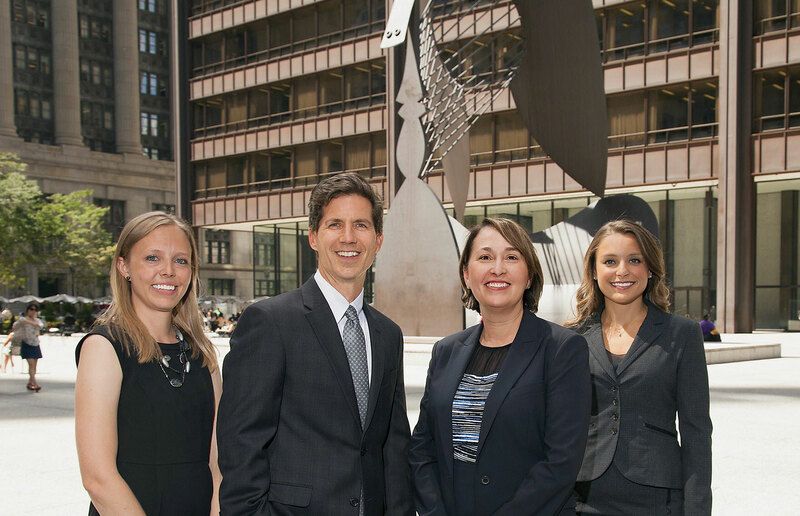 At Mossing & Navarre, LLC, our compassionate Chicago nursing home injury lawyers have extensive experience holding nursing homes and assisted living facilities accountable. We can help your family get fair compensation. If your vulnerable loved one was injured in an assisted living facility in Northern Illinois, please contact our office today at (312) 262-6700 for a free, fully confidential legal consultation.